For the past eight years I have been using NTS for all our outside testing. Without a doubt NTS has been the best choice to meet our stringent criteria for all our testing needs. Regardless of the requirements we have, whether with vibration, mechanical shock, pyro shock, EMI, high vacuum, or specialized environmental testing; NTS has always been the correct choice. The staff at NTS has always been friendly and professional, willing to accommodate the needs of their customers. Their technical aptitude is second to none in all areas of testing requirements that I have had. 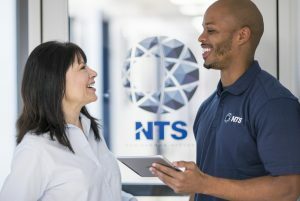 Always courteous, willing to help and knowledgeable within their specific field of testing, all my experiences interacting with the staff at NTS has been productive and pleasurable. With each test I have had NTS perform; the timely response with their reports is quite remarkable. Knowing that I can assure my customer that all their data requirements will be satisfied only makes my job easier. The reports generated by NTS are always, complete and professional. 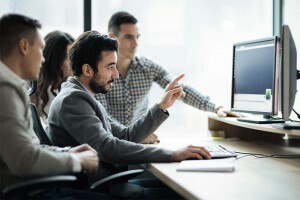 I would highly recommend NTS to all companies who find the need to perform testing outside of their own capacity, and want the confidence that the test will be performed right the first time and every time. NTS truly is World Class when it comes to performing specialized testing.